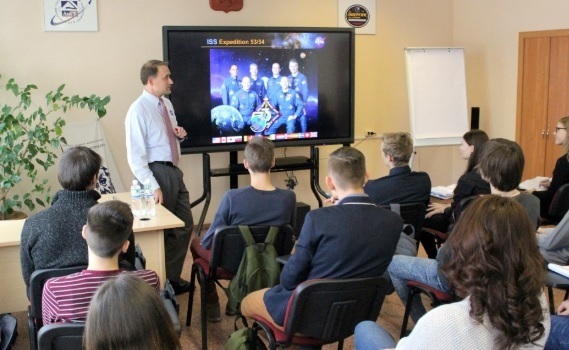 Sergey Yanenko, alum of the RIEA program 2016-2017, who works at the International Department of the Amur State University, shared the news that on November 27, 2017, Justin Tilman, the official representative of the National Aeronautics and Space Administration (NASA) in Russia, paid a visit to the Amur State University in Blagoveshchensk. In his lecture to students of the Faculty of Engineering and Physics and the Faculty of International Relations, Mr. Tilman emphasized the past and current cooperation projects between Russia and the United States on space exploration. 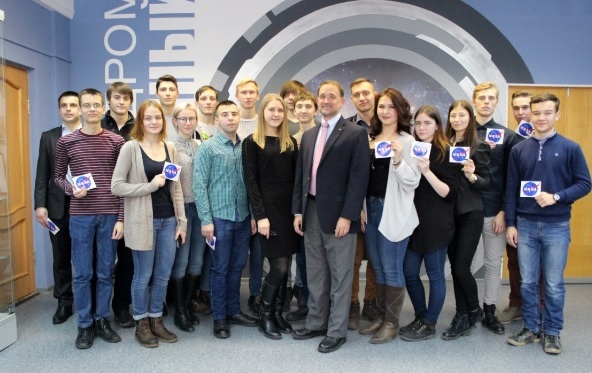 After a long Q & A session with students, Mr. Tilman added that the desire to connect his life with space and work in NASA originated from watching the "Star Wars" movies and invited Russian aerospace students and teachers to his NASA office in Moscow, where he promised to talk about the NASA programs in more detail, especially in the context of cooperation with Russia. He also invited them to VDNH where he would gladly provide a tour around the Space Museum. After the lecture, Mr. Tilman was given a tour of the University and the city of Blagoveshchensk. The visit of a NASA employee to the Amur State University was a great example of successful scientific and educational exchange with American aerospace universities, with focus on training personnel and conducting joint research in the field of space exploration, and was organized by the effort of the university’s international department, including Sergey Yanenko. "The main focus of my participation in the RIEA program was learning about the engineering education in the United States, in particular, aerospace. In that role, I visited aerospace universities in Florida: Florida Institute of Technology and University of Central Florida, and also visited the Kennedy Space Center. The Amur State University is located near the “Vostochny” cosmodrome, so I was interested in the cooperation aspect between those universities and the cosmodrome, in regards to training the engineering personnel, both for this object and the aerospace industry as a whole."